It’s Monday and the polar vortex is back again — but there are now only more 16 days until the Cardinals pitchers and catchers report to Jupiter for spring training. We can handle it, right? 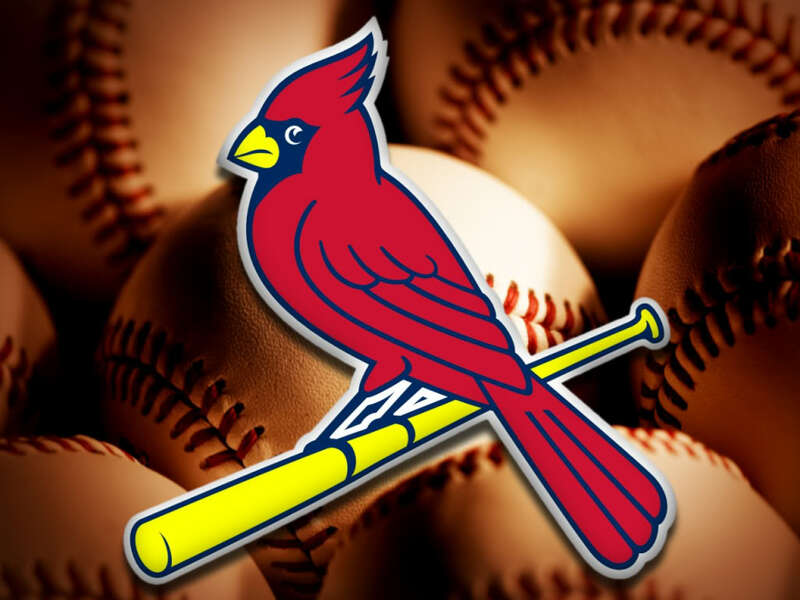 Here’s a look at some interesting Cardinal tidbits you might have missed. Last night was the annual Missouri Sports Hall of Fame induction ceremony in Springfield. Mo. Among the honorees: Willie McGee. Read more about that here. If you missed last week’s announcement of MLB’s top 100 prospects, check out the Cardinals on the list at Cardinals Farm. Then check back at Cardinals Farm starting tomorrow as John’s countdown of the Cardinals top 50 prospects gets under way. Continuing the minor league theme, you probably saw the news last week of those who are non-roster invitees to spring training. Here’s a look at how Casey Rasmus’s hometown paper in Columbus, Ga., covered his invite. And here are articles on last year’s two first-round draft picks as they prepare for their first pro spring training: on Marco Gonzalez, from his hometown Fort Collins, Colo., newspaper and on Rob Kaminsky from NorthJersey.com. This is interesting, from Scott Wuerz of the Belleville News-Democrat: what if the Cardinals had kept Joe Torre as manager? Get to know the Cardinals team chaplain here. If you saw the NHL’s Winter Classic games at Dodger Stadium on Saturday and Yankee Stadium yesterday, maybe you wondered about the Blues playing one at Busch. Here’s a wish list with that very scenario happening in 2016, complete with a rendering of what it would look like. Although that picture, of course, is winter — and we’re all getting tired of winter. So here’s a spring training preview for the Cardinals and Marlins, complete with blue skies and green grass from their shared spring home of Roger Dean Stadium. 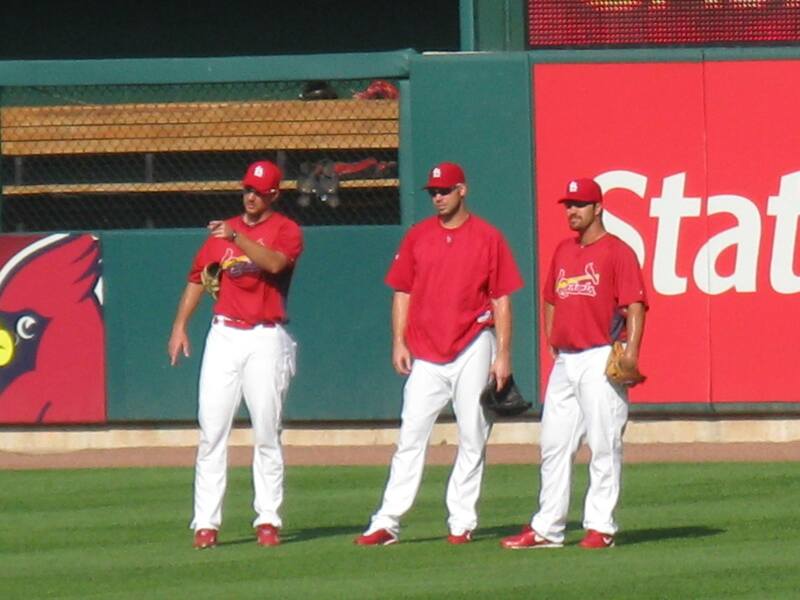 Finally, continuing with that theme, here’s a warm (actually hot) weather reminder: a 100 degree day at Busch Stadium in August 2010 with Adam Wainwright, Chris Carpenter and Jeff Suppan standing in the outfield during batting practice with sweat glistening on their arms. Someday the weather will be like that again … and then we can remember these polar vortex days to try to keep cool. This entry was posted in General Cardinals and tagged Casey Rasmus, Joe Torre, Marco Gonzalez, Missouri Sports Hall of Fame, NHL Winter Classic, Non-roster invitees, Rob Kaminsky, Spring training, Top 100 prospects, Willie McGee by Christine Coleman. Bookmark the permalink.